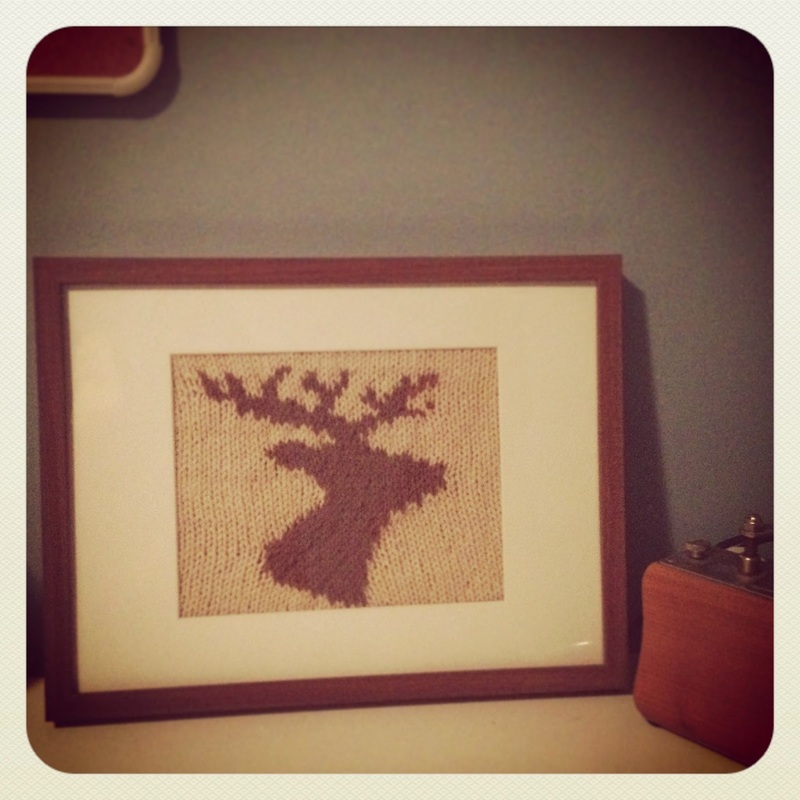 Winter and Markets and a Free Pattern, oh my! These proto-socks are in the works. 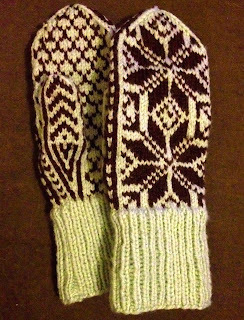 They're based on my traditional mitten pattern (see photo below) and I'm thinking I'll mostly make these for custom orders. Interested? There lots of colour options available, send me an e-mail or message me on IG, FB, or Twitter. The first of many of these stripey wool beanies (toques, let's be serious). Colour options are nearly endless. And speaking of colour: I mashed them all together for this jumbo neckwarmer/scarf. It's got two large buttons on the ends that make it super versatile. Come see me at a local market (market details located below) and I'll show you what I mean. A sneaky peaky view of a custom order I'm wrapping up for a friend. Matchy sweaters! Wooden buttons! For babies! So tremendously cute and cozy. 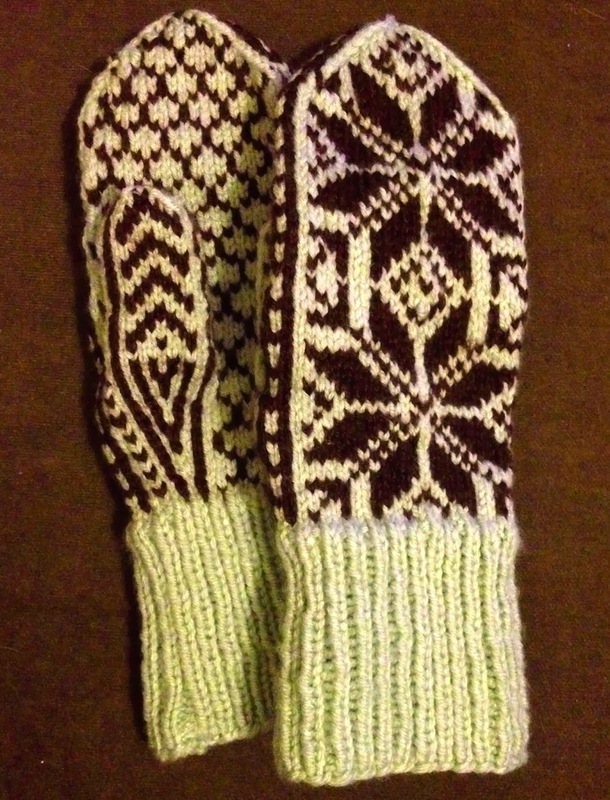 My always popular traditional Nordic mitts were being snapped up even in the middle of summer. I'll have an array of colour combinations in stock for this winter's markets. With my venture into macrame this summer came the impulse to blend weaving and macrame together. This hybrid woven/macrame piece was time consuming but really fun. I might make these purely for custom orders so if you have some ideas for a wall-hanging piece hit me up and let's work! 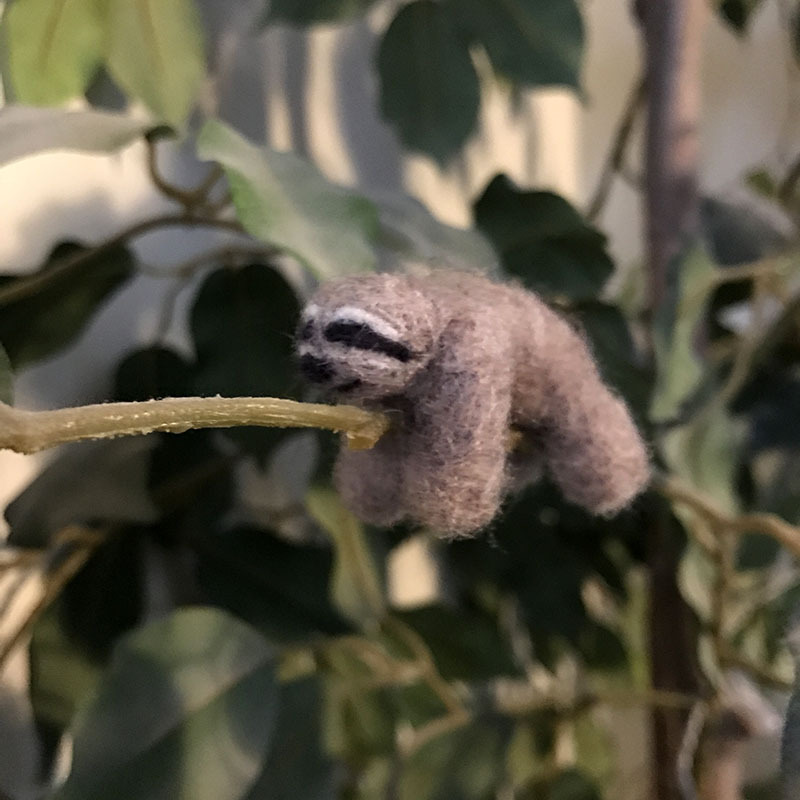 Two views of my tiniest sloths ever. These guys have the same wire skeleton as the larger sculptures so they can hang on to just about anything (small). They're so adorable I can't stop cooing over them. Lots of these dudes will be accompanying me this winter. Everywhere. All the time. Aww. SO! 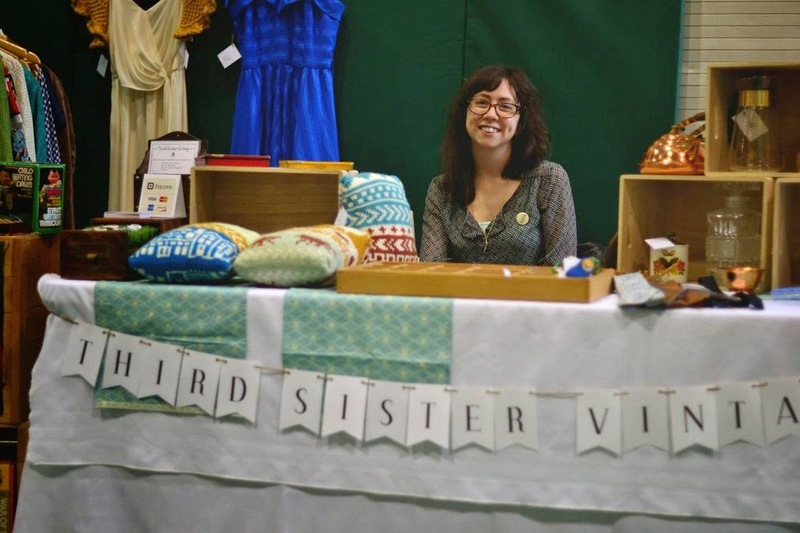 Down to business: Third Sister is maniacally prepping for at least two markets this Fall/Winter with the first coming up so fast. 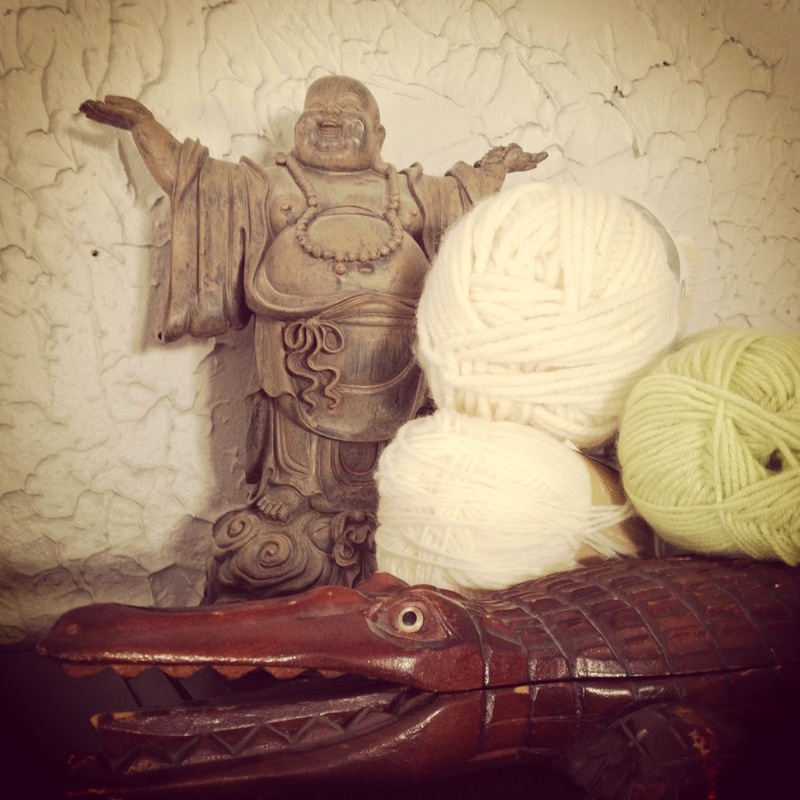 And lastly (shhh, this one's a secret) I'm working on publishing my first pattern on Ravelry. So, at the moment the fingerless mitten pattern, Little Sister Mitts, is up on ravelry.com for free! If you're interesting in helping out to test the pattern (or if you just like free things) go grab it and try it out. I'd be very grateful for any comments you may have. 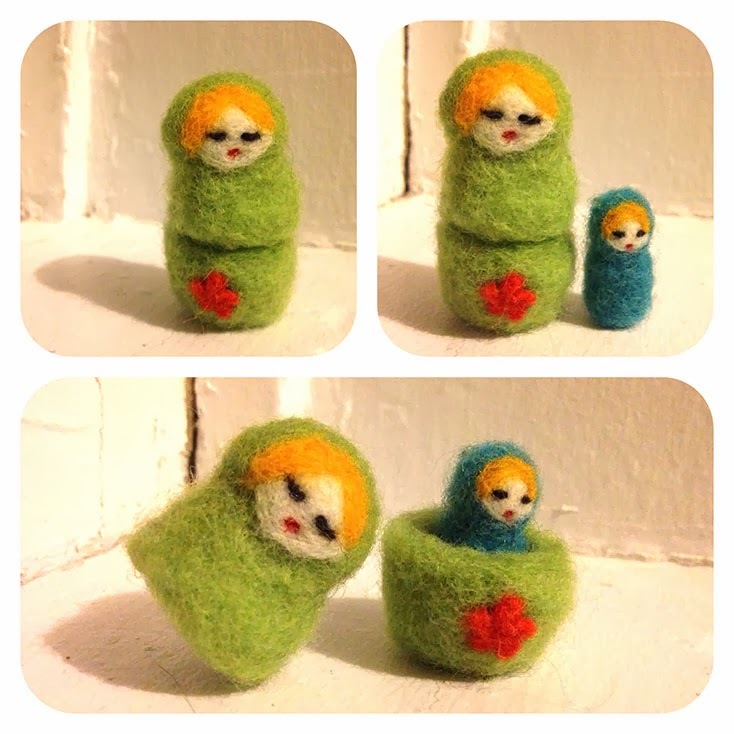 Until the holiday rush overwhelms me and eats me whole, custom orders are open. Drop me a line with your orders/ideas. Local pick up is available for Winnipeggers/Manitobans and I ship worldwide for everyone else. Knit fast and keep warm! As usual, these hand felted sloths follow me around to nearly every market. 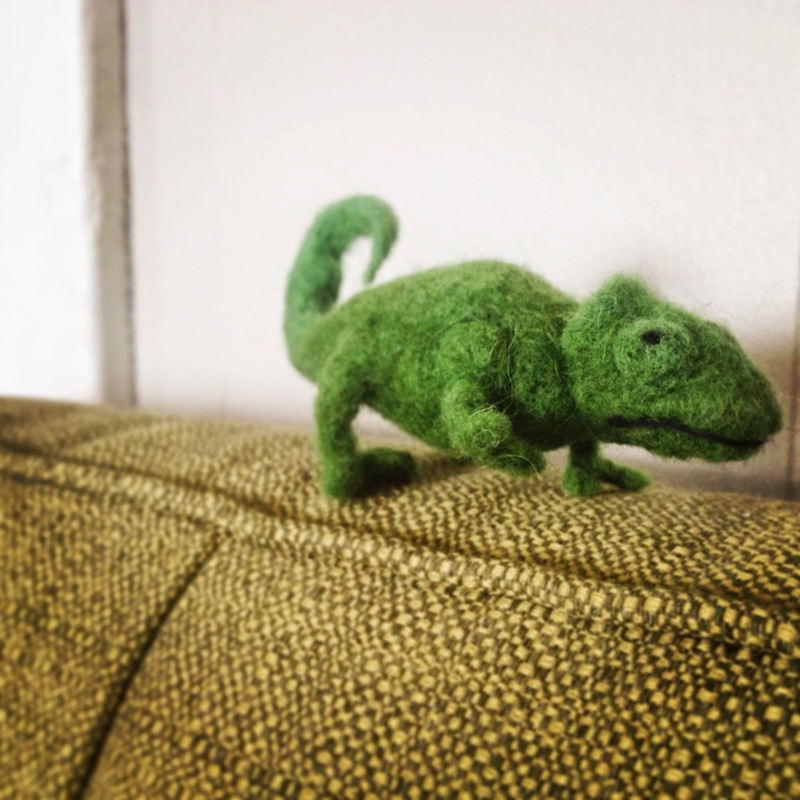 Hot tip: you can custom order your own piece and have it ready for pick up at any market! These dudes are up for grabs at $30 ea. Stacks of cozy knits for winter markets. 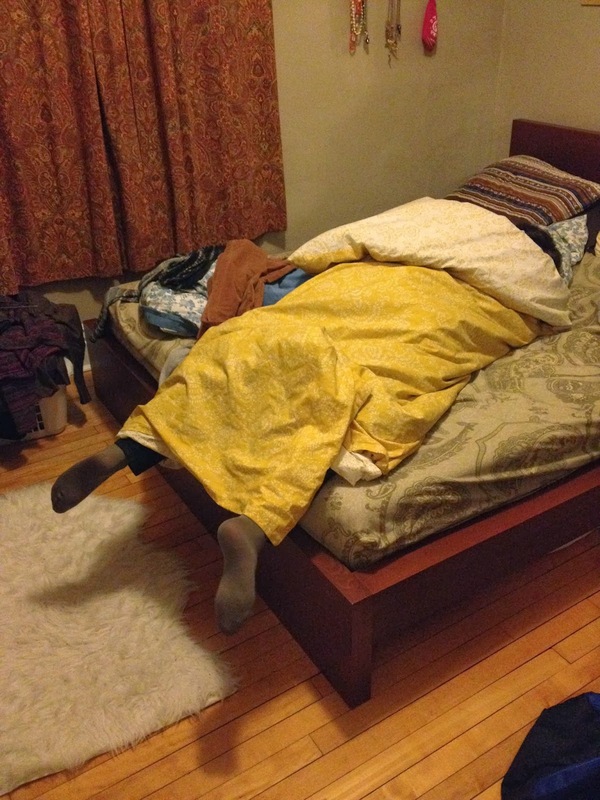 Hot tip: many of my surplus winter knits are on deeeep discount during the hot summer months. 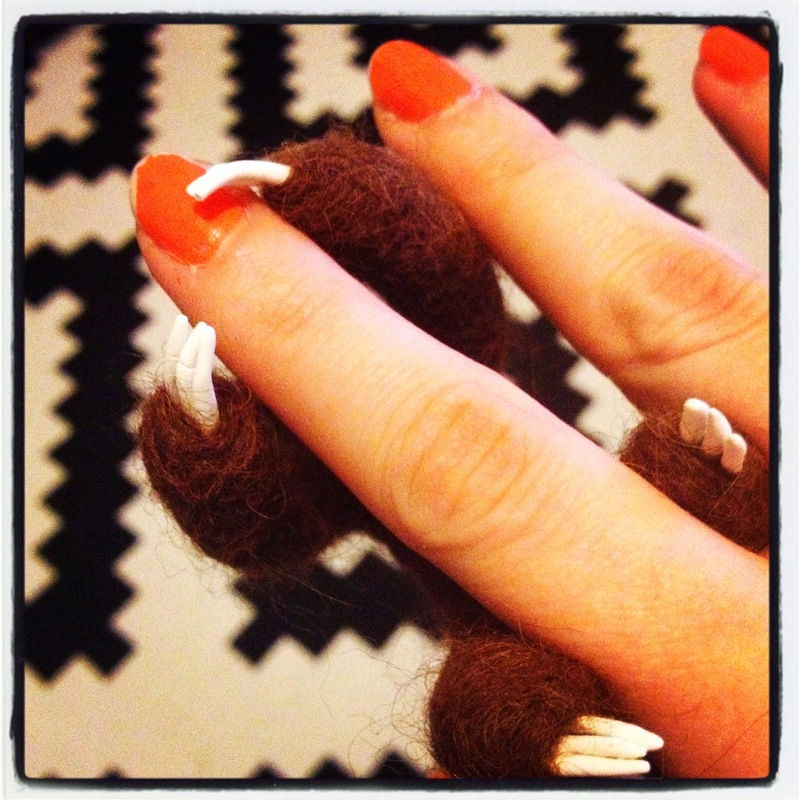 Stock up on cowls and mittens because before you know it? Winter. 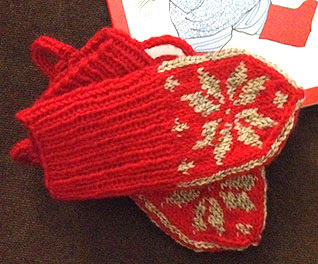 These traditional style Scandinavian mittens are a staple of my winter markets. If you drop me a line I'll knit up a pair for you in pretty much any colour combination under the sun. Classic slouchy knit tuque. Lots of colour options! Snug cowls for those deep cold days. This teal colour was a favourite of mine last winter. A giant cowl that got scooped up real quick last winter. I'm hoping to get my hands on more of this yarn but I haven't seen it around my local shops lately. 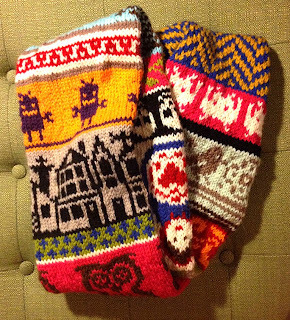 More super cozy cowls. Its hard to think about wearing woolen layers right now (it's about 400 degrees outside, I swear) but here I am... knitting woolen things like a big jerk. Just looking at these tiny woolen baby booties makes my ovaries explode. SO cute. So many colour options for the non-walking, shoe-wearing infant in your life. 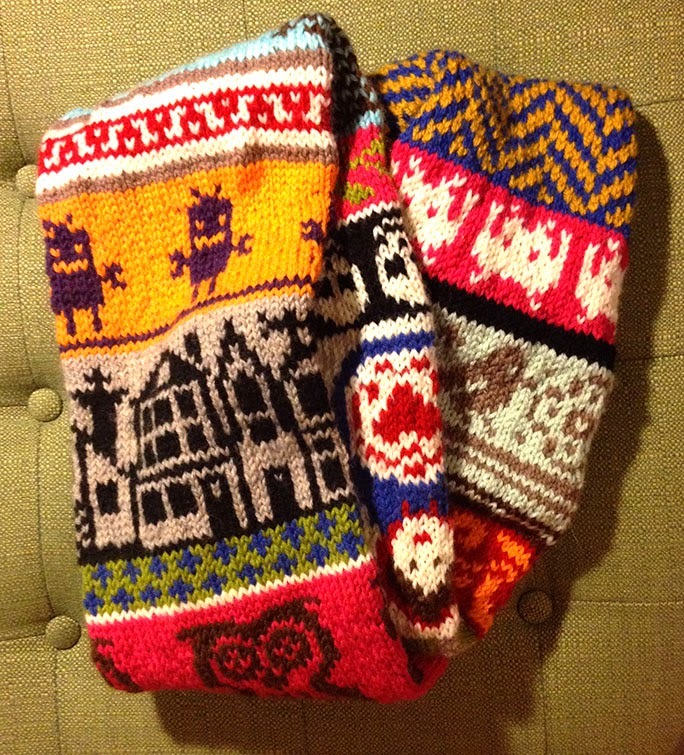 I have so many plans to put grippy soles on larger sized ones for the adventurous but chilly-footed toddler. A new design from late last winter. It may make a comeback this coming fall in both adult and child-sized versions. Because, really, it has earflaps and a pointy top. Because I needed to add more fibre craft to my arsenal this spring I started making macrame hangers! These were two early creations. Another newbie for 2017 is this design for fingerless mittens. The pattern will be available for testing shortly and then will be added to Ravelry! Little knitted bowls. Put a plant in it! 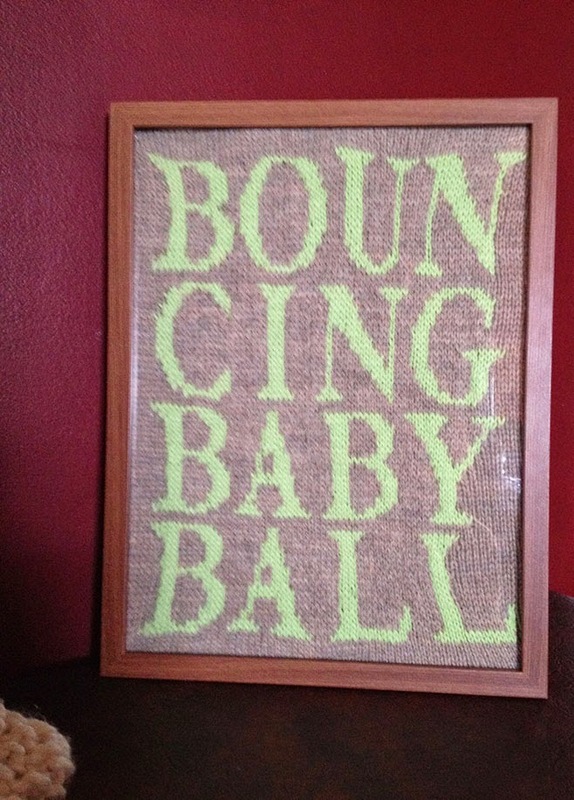 Yes, more macrame. Custom designs available. Another macrame hanger. I couldn't resist the neon pink when I came across it. For those in Winnipeg who need their macrame itch to be scratched, you can find me bi-weekly at the South Osborne Farmers Market on Wednesday evenings! I've been doing most of my posting over on Instagram lately, which is terrible considering how little I've actually been posting on Instagram lately. But I did receive a request for a recipe I made the other day and figured it would be far easier to post it here and link rather than try to type it out on the iPhone. I'm very kind to myself. Right, so, back to it. Combine the flour, sugar, baking powder, baking soda, and salt in a medium size mixing bowl. Try not to toss it all over your kitchen. That is something I have never achieved. Preheat the oven to 450 degrees. Grab a couple baking sheets and line them with parchment paper. Things are about to get real sticky up in here. Mix the milk and vinegar together and let it sit a few minutes (you could use 1 Cup of buttermilk instead of the milk & vinegar combo, I just very rarely have buttermilk in the fridge). Whisk the egg into the milk. Whisk it real nice. At this point I pop this milk/egg mix into the fridge to keep it chilly while we get the dough ready. Grab your butter from the fridge/freezer/where ever you left it and work it into the dry mixture. This is kind of an important part. You want the butter to be cold but not hard when you're mixing it in. The idea is to get the flour mix to a crumbly stage, not blended. 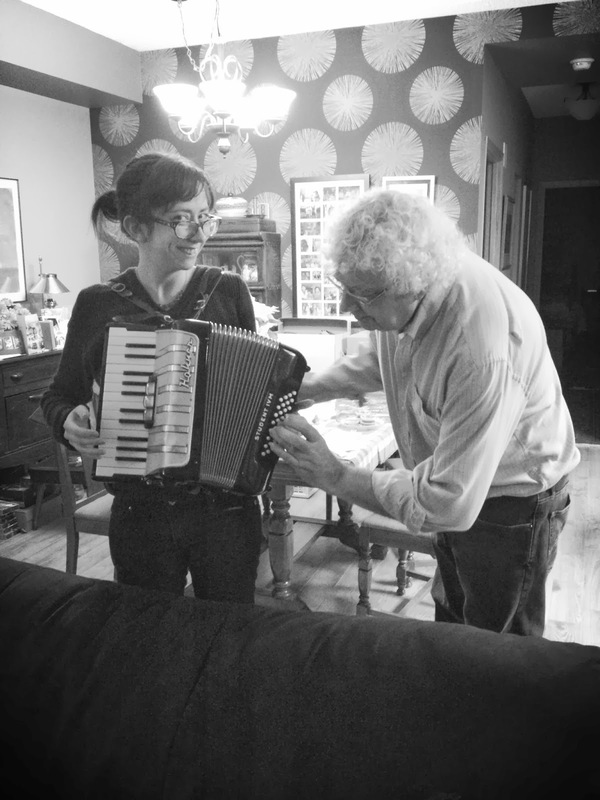 To achieve this I like to grate the butter using a cheese grater and then mix with my hands (being careful not to just let the butter melt against the warmth of your hands). If you have a pastry cutter/blender then use this to mix the butter until only small pea-sized pieces remain. Not big peas, tiny crumbly peas. Now, add in the fruit stirring gently being careful not to smash the berries to smithereens. Next, pour in the milk/egg mix a bit at a time while mixing. Don't over mix, just until it's all combined. Please, please don't over mix. If you haven't already dunked your hands into the mix now is the time to get the most sticky all over everything you own. Sure, you could do this with couple spoons or an ice cream scoop but why deny yourself the simple pleasures of gooey hands? Get 'em in there. Scoop up about a quarter cup sized dollops of the mix and drop it on your baking sheet (don't have a visual of what a quarter cup would look like in gooey dough form? Larger than a golf ball, small than a baseball). Make sure they're well spaced, these things like to spread out in the heat (who doesn't). Bake these guys for about 15-17 minutes or until golden brown. Try to remember to rotate the pan(s) about half way through. Once they're looking done let them cool for a few minutes before rewarding yourself for all your hard work by flopping on the couch and eating them all in one go while bingeing shows on Netflix and feeling so accomplished. Flat knits and an ice barricade. It's spring! It's like, really, honestly, and truly spring. I saw the very first buds of leaves today and my heart skipped a beat. It has been so gray and bleh and now there is finally green popping up. Warms my frozen Canadian heart. Here is a grab bag of photos from the past month or so. 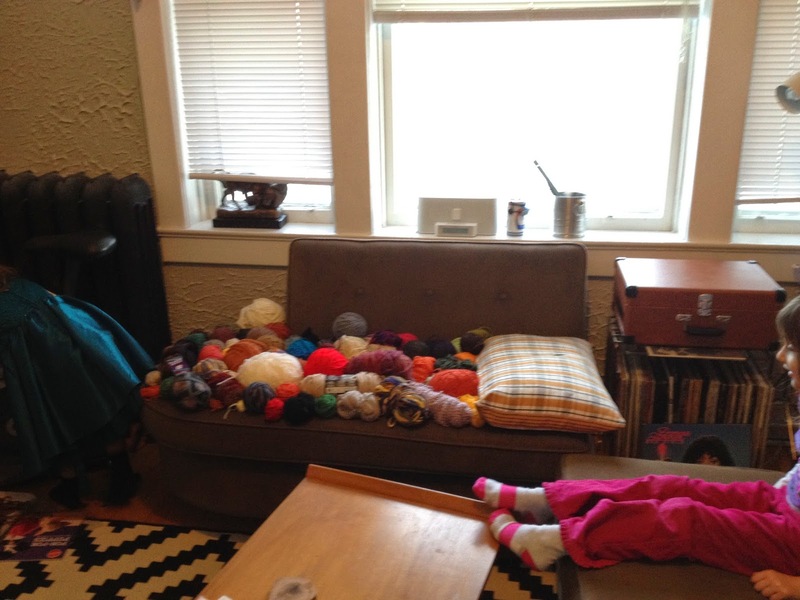 My nieces tried to "organize" my yarn stash. SOME of my yarn stash. New polymer clay claws for my tiny bendy sloths! Another knit print. Deer heads made from sheep fuzz. Circle of life. The gang from WEST! Lovely group photo also courtesy of Caitlin. 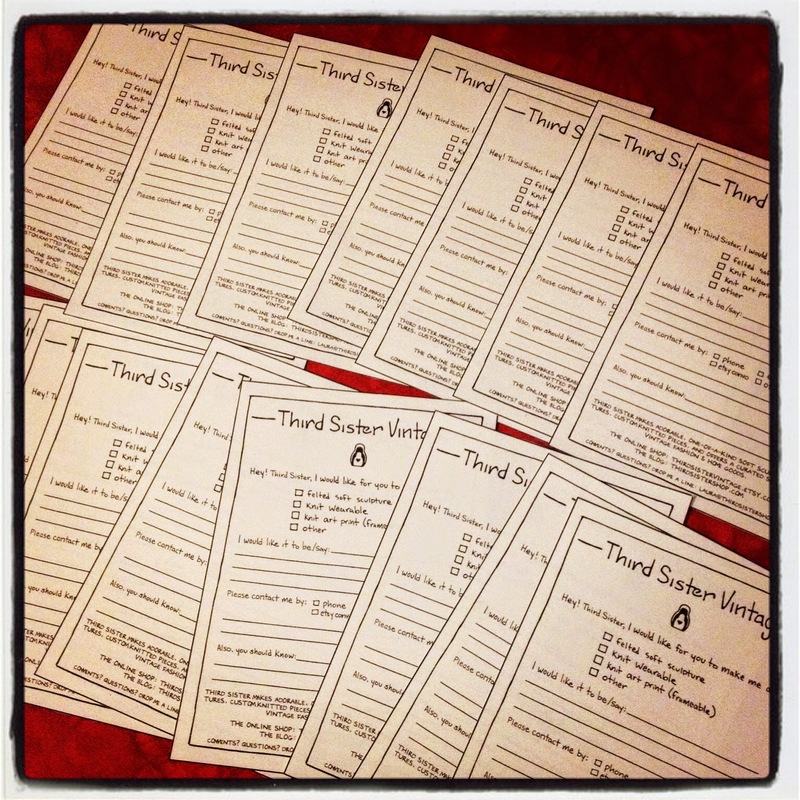 Custom order forms made by my talented designer/cartoonist/writer husband. I'm gearing up for a bit of time off and a drive down to Minnesota with my better half this coming week. 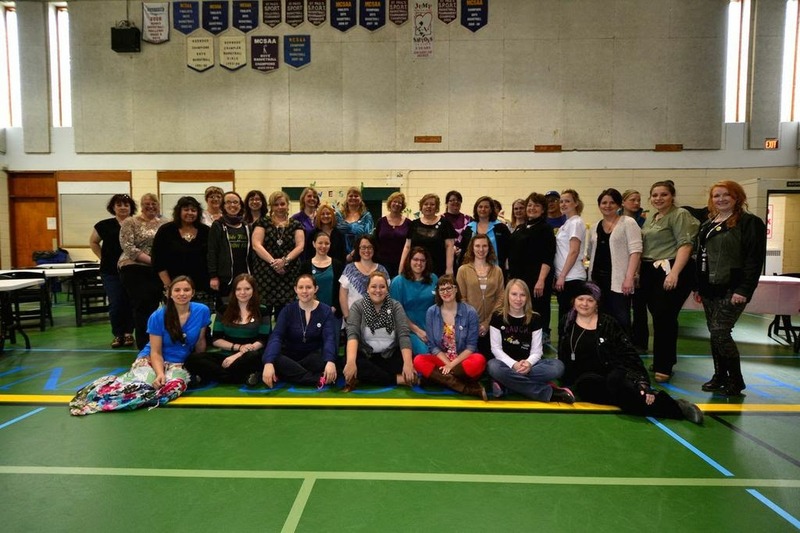 One Story Time at the library, a panel discussion at the Manitoba Libraries Conference, and a little bit of frantic last minute packing. Looking forward to the open road and so many bags of beef jerky. So. Many. It's supposed to be spring. It doesn't really feel much like spring around these parts. We've still been having lots of -15C days, also known as 5 degrees Fahrenheit. Not too springy. Even the local businesses are getting antsy for warm weather. Our neighbourhood (walk-up service only) ice cream shop will be opening this weekend for the season, even though the forecasted high is only +4C (39F) with snow. ...What? 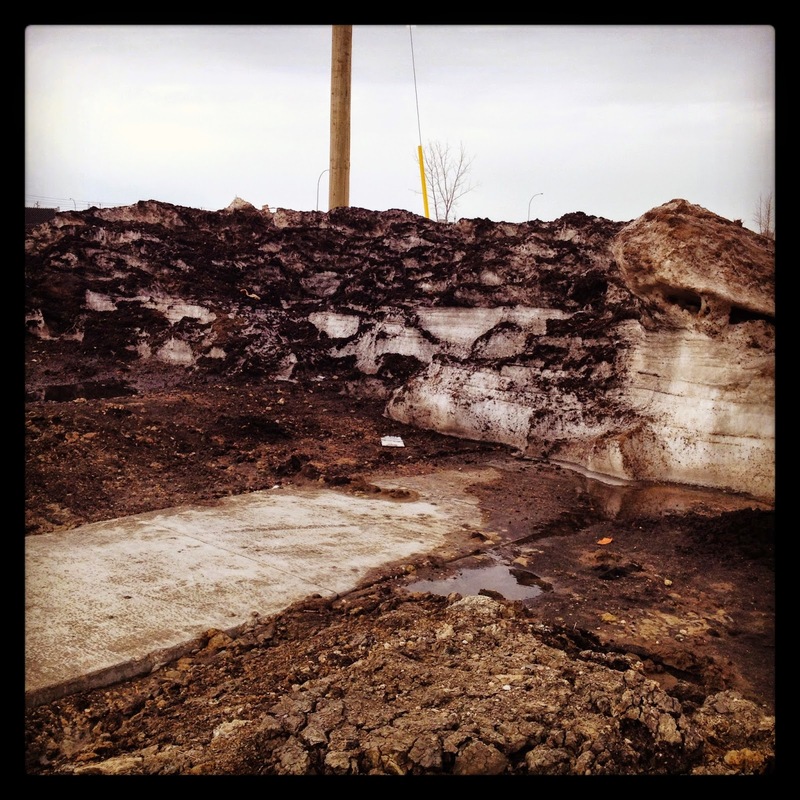 You didn't stop by the blog for Winnipeg weather updates? 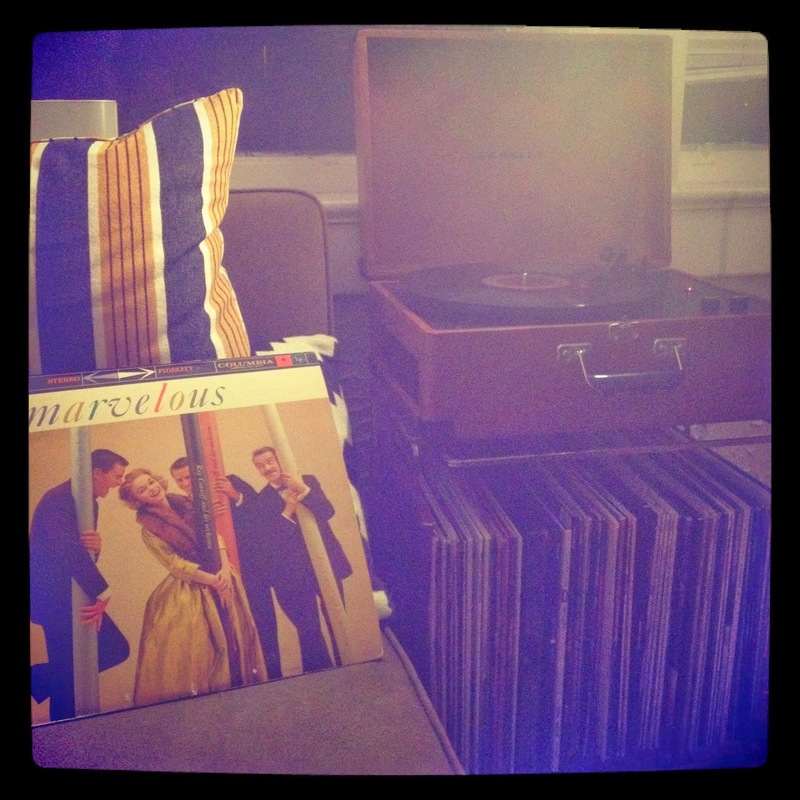 We celebrated 4 years in our current condo with a late night instrumental medley. 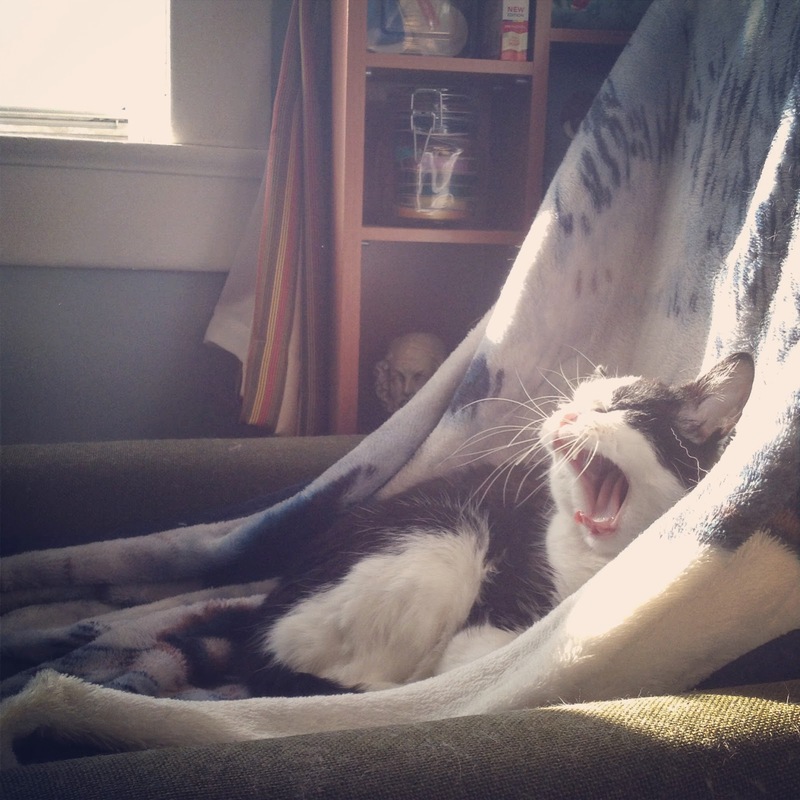 This is pretty much what I feel like at any given moment. 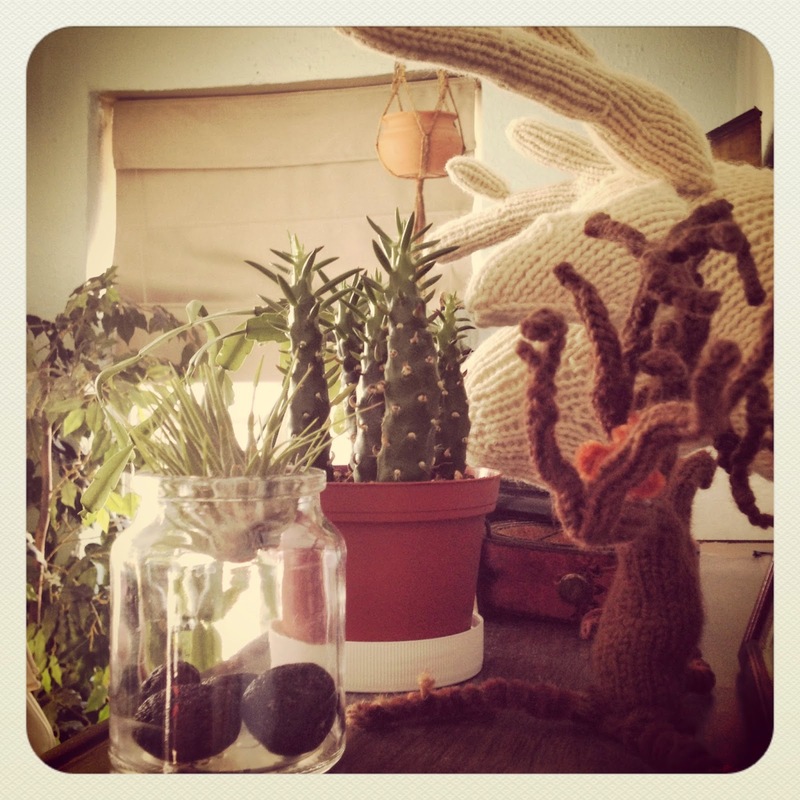 Getting ready for the WEST Handmade & Vintage Sale V.
Our newest cactus (Irving) takes up residence next to the air plant. It's all hands on deck here at Third Sister as we prepare for our first in-person sale at the upcoming Winnipeg Etsy Street Team (WEST) Handmade and Vintage Sale V at the end of April. For more information about the sale see the event on facebook here as well as through etsy.com for more vendor information here. 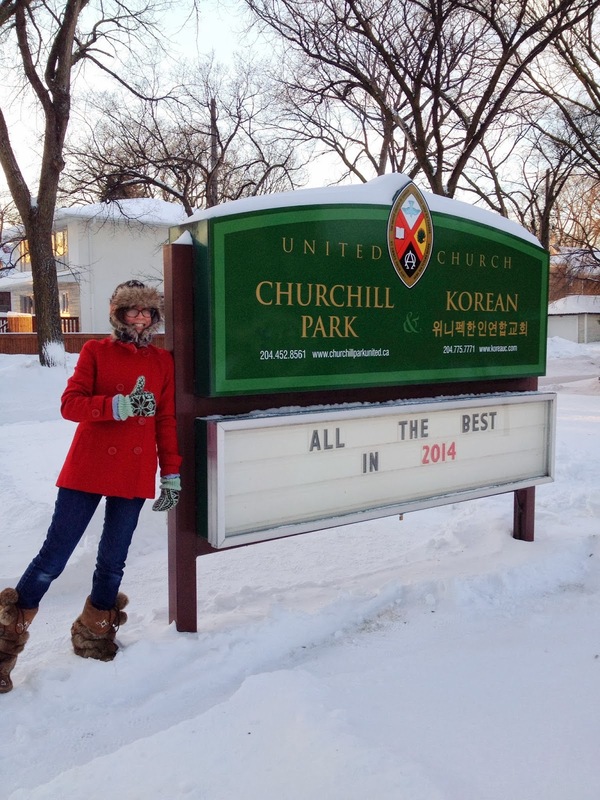 Make sure to check out the WEST blog for more great posts from the talented makers and curators in Winnipeg & Manitoba. That's all for now! I'm off to wear overly optimistic outfits and dream about having an ice cream outside without contracting hypothermia. and, 4) getting more active! It's so easy to get lethargic here in the winter, I'm trying to find more ways to be active while waiting for all the snow to melt. We're getting real antsy for warm weather 'round these parts and Third Sister is working on a new line of creatures for Spring 2014. 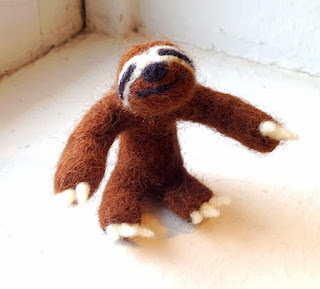 I'm taking a cue from the very popular sloth and taking thing s-l-o-w. Time to get crafty, slow and steady style! It's been pretty chilly outside lately so I've been hunkering down inside and starting to dream up some new ideas for the upcoming holiday season. 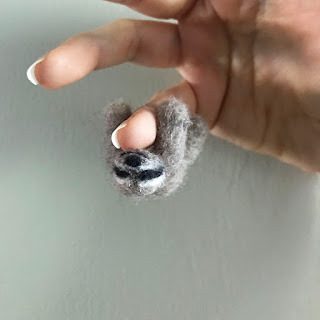 The traditional-style knit mittens are back in the shop, and the needle felting has begun! Drop me a line on facebook (ThirdSisterShop), twitter (@ThirdSisterShop), or on Etsy (ThirdSisterVintage) with any and all of your tiny soft creature/knitted/vintage needs. I'm always up for trying something new! I live in a city. I work in a library. 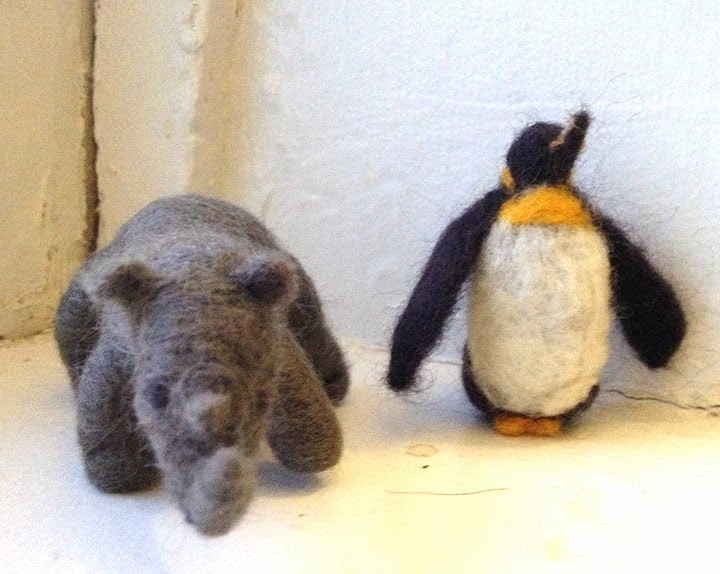 I make little felted animals. I knit for survival. That is all. That is not really all. Proud member of the Winnipeg Etsy Street Team!